Selling a bike I bought in december last year but -as I fell in love again with my very first love, mountainbiking- I want a 29'er mtb instead. It's a nearly new CAADX Ultegra (model 2019) that I have ridden maybe 5 times (and mostly on paved roads) so it's in impeccable state. 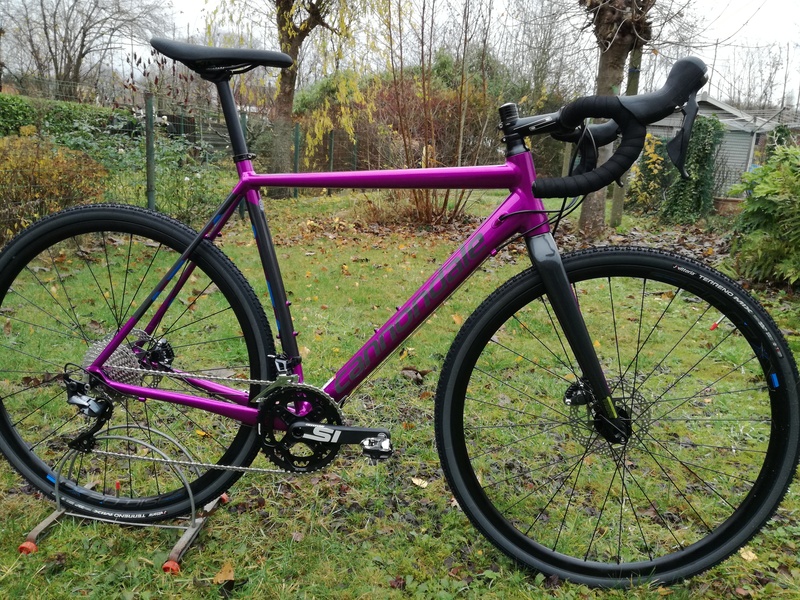 I paid for this bike 2100 € (with pedals) and I would like to get NOW 1500 € (shipped to the UK - Paypal NOT included) for it. Or make me a good offer. Pricedrop. 1500 € shipping and new Look pedals included. Love that colorway. Out of curiosity, does this have eyelets for fenders? Hi, might be interested, but can you shine a light on what is broken? Or was that a different bike? That was a different bike, yes. This one is as good as new and doesn't have the rear brake issue (the old CAADX had the caliper placed on the seatstay and that gave severe vibrations when braking; the new CAADX has the caliper on the left horizontal stay).